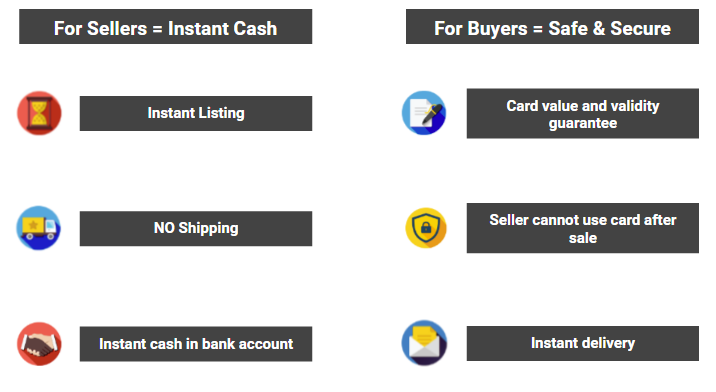 Woohoo is proud to announce the launch of India’s first peer to peer gift card trade solution that enables you to convert your unused gift cards to cash and offers buyers gift cards from some of the best brands at low prices, offered directly by the seller. SELLERS – DON’T LET UNUSED GIFT CARDS GO TO WASTE. MONETISE IT. Yes, Woohoo makes it possible for you to convert your unused gift cards into cash by giving you a platform to put it up for sale. All you need to do is to list your card on the “Buy / Sell Gift Cards” section in your Woohoo app. The listings are instant so you do not have to wait. Once your card is sold, you get the money directly in your bank account. Moreover, with the robust security system provided by Woohoo you can rest assured that the buyers are verified. 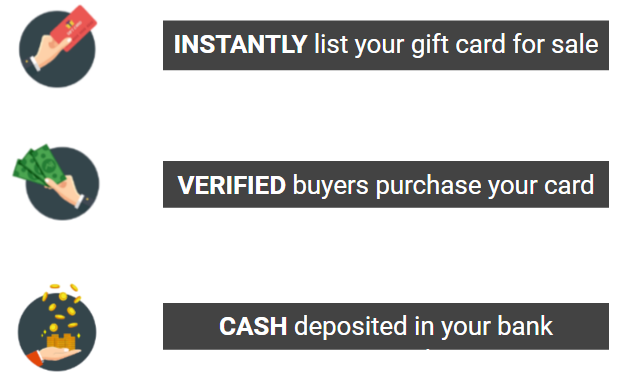 Another feature that makes selling physical gift cards on the platform as hassle-free as selling e-gift cards is that you do not have to take the trouble of shipping your physical gift card to the buyer. Once you list your physical gift card on the Woohoo Buy / Sell platform, your physical gift card gets disabled and a new electronic version of the same (with the value and validity intact) is created, which can then be purchased by the buyers. At any point in time you could choose to de-list your gift card (if it has not been sold) and use it yourself. If you’re looking for gift cards at discounted prices, Woohoo would be your go-to destination. This innovative platform offers gift cards from brands like Woohoo, Lakme, Lifestyle, Arvind and Hidesign (many more are making their way as you read this) directly listed by the sellers at competitive prices. Of course, you’d have to be an early bird to catch the best deals before they’re gone! Woohoo does the checks for you in the background to ensure you get what you see. In other words, the card value and validity are verified by Woohoo. Besides, once you purchase a gift card, the seller will no longer be able to use it. As for the delivery of the E-gift Card, it’s as instant as the click of your button. Once you’ve successfully made the payment for the gift card, it is electronically delivered to you that very instant. So you can go ahead and make your purchase without a moment’s hesitation. List your card for sale and set your price. No Waiting Verify your card and list instantly. No Shipping. Sell your physical gift cards or e-gift cards without having to ship it.